The Chamber Foundation’s Annual Golf Tournament is set for May 10th with an 8:30 am shotgun start. The event will be held at Crestwood Country Club and will include an 18-hole scramble. 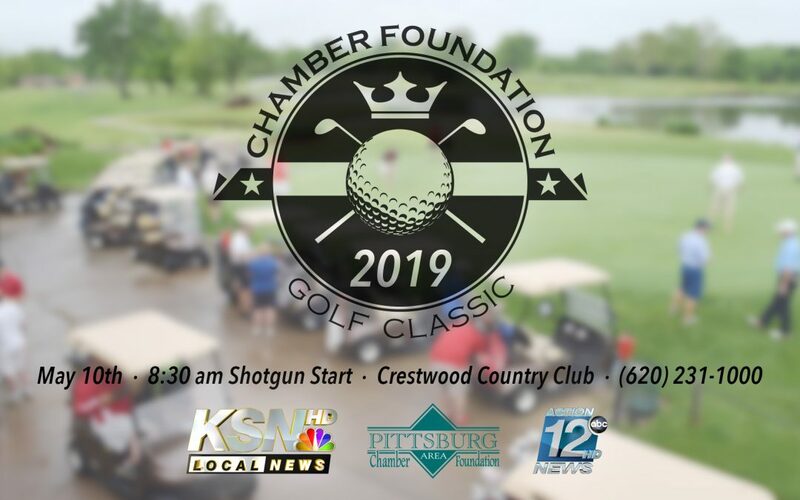 This year’s Golf Classic will again focus on supporting ongoing leadership development opportunities through the Pittsburg Area Chamber Foundation’s annual leadership programs. The format will be a 4 person scramble, 8:30 am shotgun start, carts provided, prizes for top 3 in each tier. Register your team here or by calling the chamber at (620) 231-1000. Lunch will be provided for all golfers. Crawford County Youth Leadership recently celebrated its 15th year serving every school in the county. All sixth graders in Crawford County in the last decade and a half have learned how to work as a team, lead by example, resolve conflict and communicate effectively. Leadership High exists to strengthen and enhance positive leadership and team-building skills in area high school freshman. The students are also challenged in building confidence and giving back to the community. Leadership Crawford County is dedicated to developing leaders who will share with others the leadership skills they have learned and who will assume an active role in making a difference in the community, their workplace and their family structure. The annual class is made up of local business owners, leaders and employees. The 2019 Golf Classic is a Crestwood Member & Guest only event.